This baler features a pre-compression box with two flaps which are designed to increase density when processing low density input materials prior to shearing. Sturdy design and high quality are the two pillars of Imabe’s fixed shear balers. 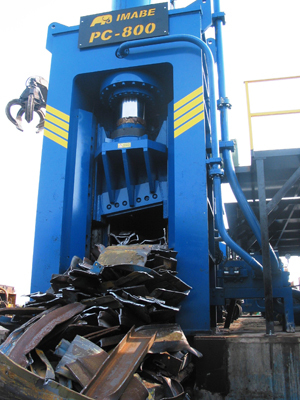 We offer a range of Flap Pre-Compression Box Shears from 500 tonne to 800 tonne shear force. Shears come equipped with elevated operator cabin with a full colour mimic panel or remote control so that shears can be operated from an on-site crane. All shears come with Imabe’s high performance hydraulic systems with a low-energy consumption design. Shears are equipped with a side feeding tray to maximise performance and reduce loading time. The Flap Pre-Compression box is not able to crush and reduce the volume of heavy scraps as it does not have the addition of a side ram with its greater compaction power. 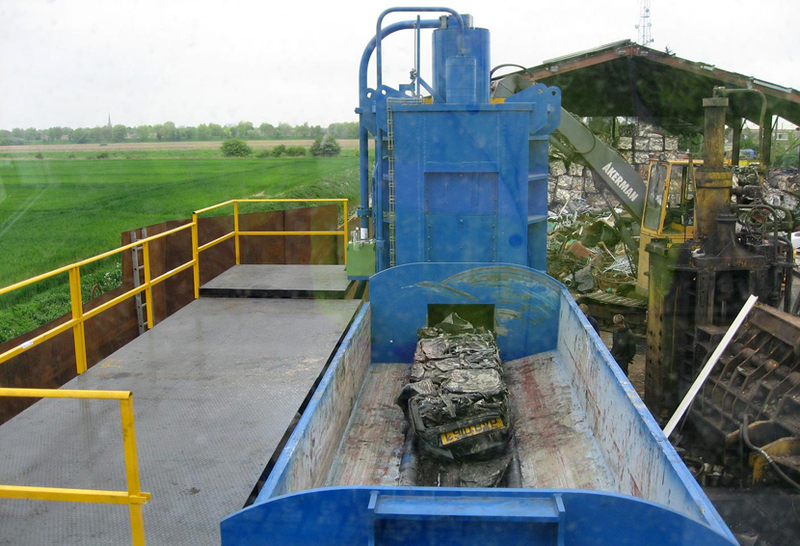 For more bulky items, take a look at our Side Ram Pre-Compression Box Shear Baler.